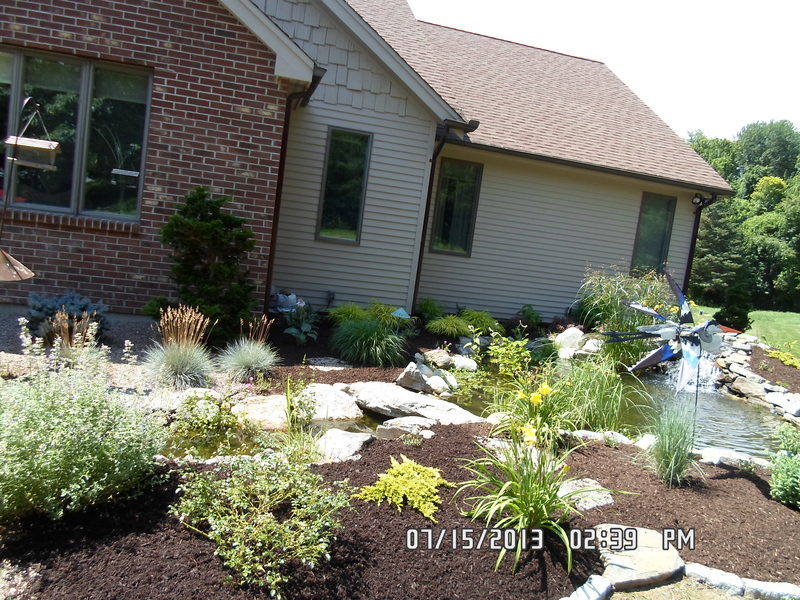 DiRoma Landscaping has not only teamed with Aquascapes, Inc but has also become a Certified Aquascape Contractor (CAC) to provide you with installation of the water feature of your dreams. Why use a Certified Aquascape Contractor? There is nothing more tranquil than the sound of running water. 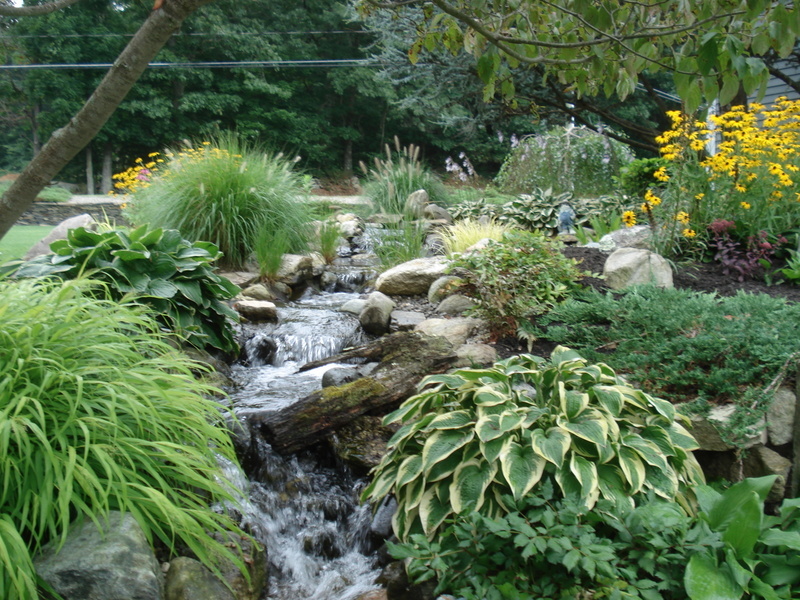 Choose a “pondless” waterfall design or take on the excitement of a “water garden” with plants, koi and gold fish for a hobby you and your kids can enjoy for hours and hours together. Let our design team show you choices and designs that will take your breath away. From a simple patio fountain to a burst of sound and color from a beautiful pond with a magical waterfall and stream. 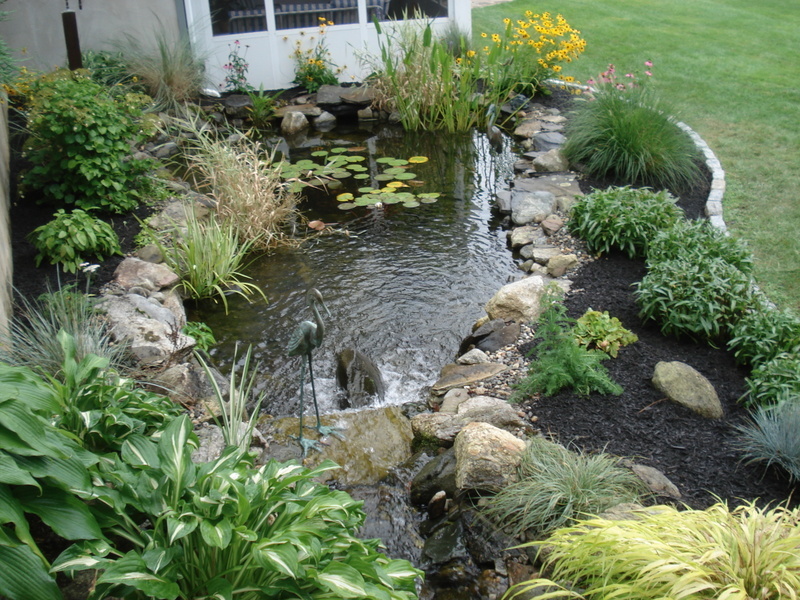 A popular misconception is that water features take up a lot of room and are endless amounts of work. Nothing can be further from the truth!!! Our water features are designed and built to create a natural ecosystem which is basically self-sufficient. Bio filters and skimmers are installed in water gardens to keep the fish healthy and the water clear. 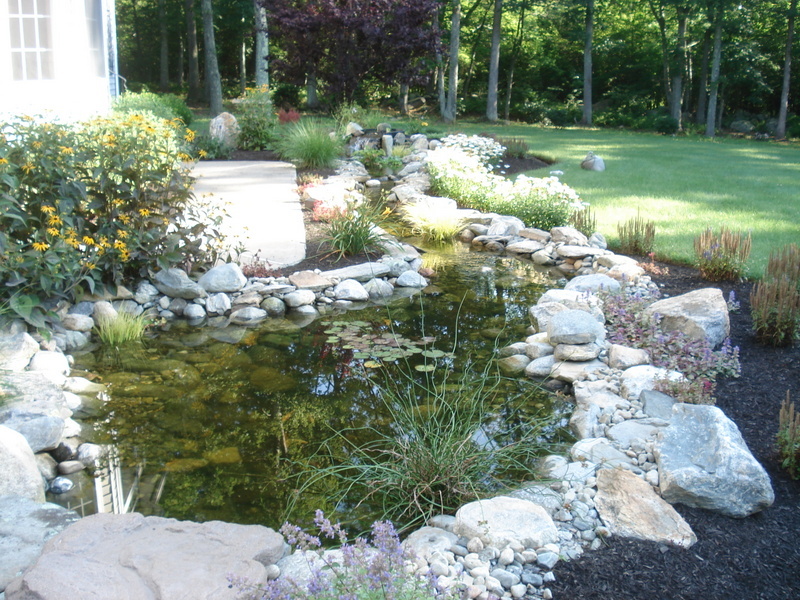 Items such as rocks, fountains, fish, plants, statuary, waterfalls and watercourses can be combined with the pond to add visual interest. 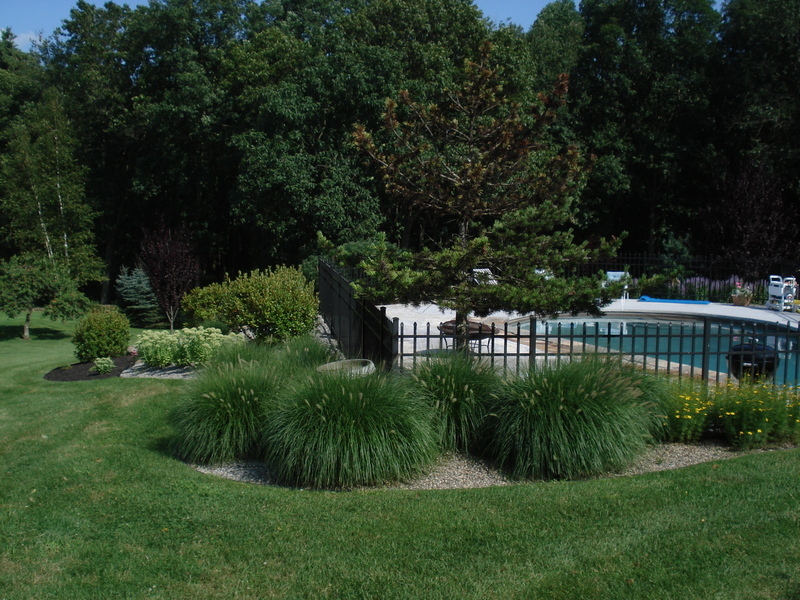 Our designs utilize intelligent integration with your existing landscape and environment. 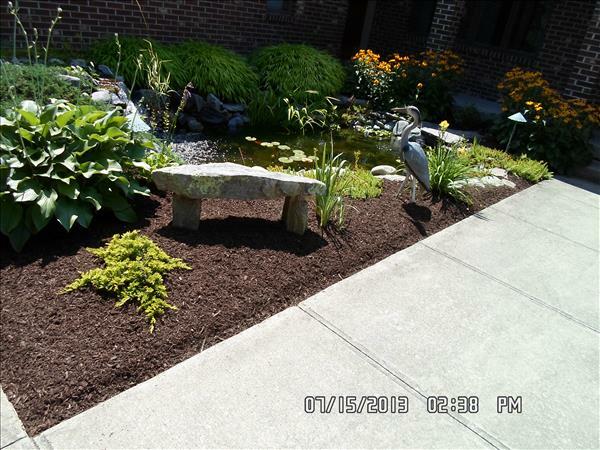 In addition, fountain gardens are an interesting and cost effective way to create a functional water garden while working within a limited space and budget. Poolscaping completes the setting for the pool’s installation to help create that “luxury resort” setting in your own back yard, whether in ground or above ground. We can provide designs with your family in mind. 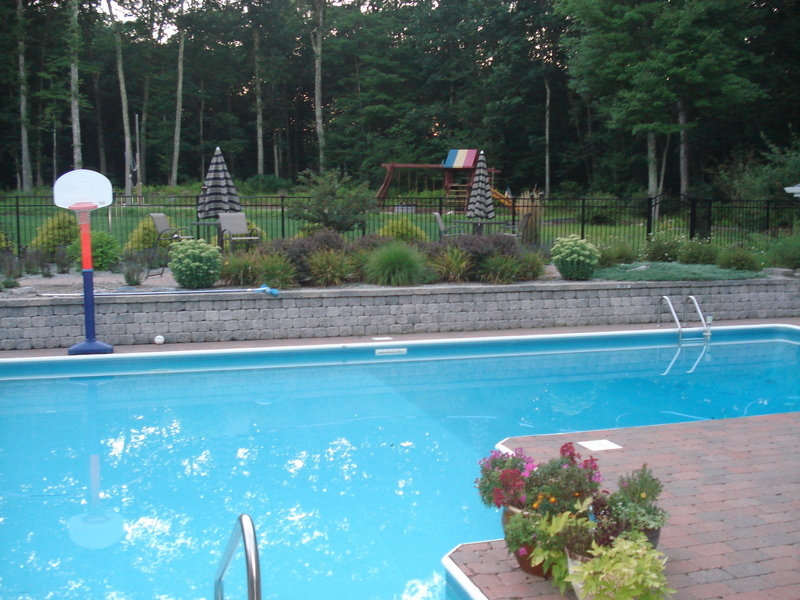 Whether you require “kid friendly” to garden waterfall or lagoon pool, our landscape designers will help develop a concept to meet your property and lifestyle specific needs while always being aware of entertainment and safety concerns. To complete your landscape and poolscape dreams, nothing allows you to enjoy your landscape even more than with the use of low voltage lighting. We install outdoor lighting and we focus on giving you our customer, what you would like your nighttime outdoor environment to be. Whether it is welcoming family and friends over with a subtly lit sidewalk, or enjoying a beautifully illuminated outdoor living space. When carefully planned and installed, outdoor lighting can transform your property at night turning trees, buildings and other landscape features into dramatic focal points. Lighting is also essential for safety along paths and walkways and around decks, patios, and stairs. Today’s lighting comes in a variety of forms, including energy efficient illumination sources (LED) to save you money. We have come a long way from the ‘runway lights’ along the sidewalk. Instead, outdoor lighting has become an art, a process that requires skill, talent and knowledge, and the ability to utilize this to create a perfect ‘lighting portrait’. A professionally installed lighting system completely customizes the look of your home and creates a fantastic ambiance that lights up the night.